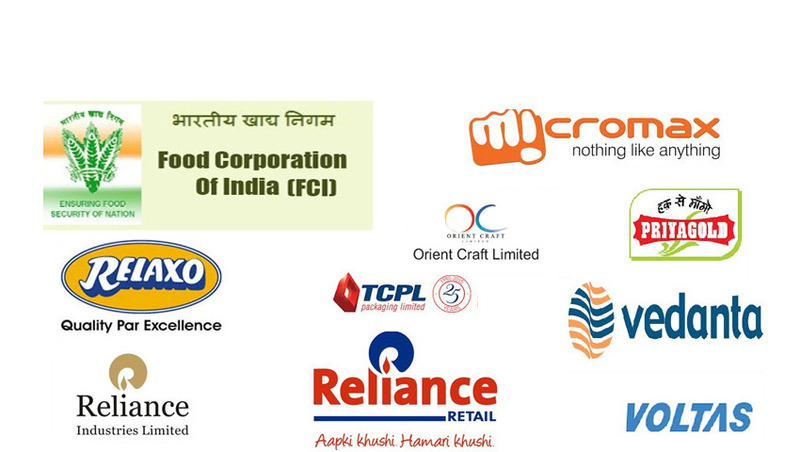 We are leading Manufacturers & Exporters of Crate Conveyor Systems such as Chain Conveyors, Modular Belt Conveyors, Powered Chain Driven Roller Conveyors, Bin Dumpers, Upenders and many more items from India. We have over 30 years of experience in design & manufacturing customized conveyor systems for crate handling. Our ISO 9001:2008 systems certified workshop is fully equiped with fabrication equipments and is located in Noida (Delhi NCR). We manufacture a wide range of box transfer conveyors for boxes of different sizes and weights. 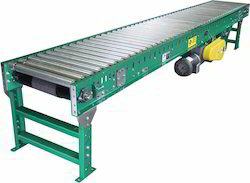 Our box transfer conveyors are customized for length, height, width conveying profile. We customize solutions to form efficient conveying lines throughout the factory or plant linking different floors. 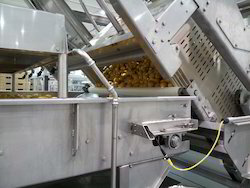 Control sensors are usually integrated with our conveyors to ensure efficient traffic management and tracking of boxes. Other solutions such as barcode applicators, bar code scanners, image cameras, weighing stations, etc. can be easily incorporated into our conveyor systems to provide intelligent solutions. 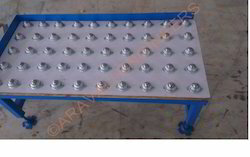 We manufacture low cost manual pallet & unit handling conveyors using manual rollers/skate wheels/ball castors/bearings. 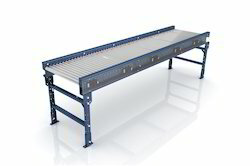 Our ball transfer tables provide simple solutions for manual transfer of pallets. We manufacture Bin dumpers to provide the agricultural, food processing, and manufacturing markets an efficient and economical means of handling and dumping bins. Can easily accommodate various bin heights by manually adjusting the top bin stops. The dumpers utilized hydraulic system for gripping and tilting of bins and can be provided with adjustable gate mechanism to control the material flow rate. The tilt of the dumpers can be customized for full overturn or tilting at a certain angle. Our bin dumpers can be customized to include outfeed, sortation and packing conveyors so as to form a complete process line. We manufacture customized conveyors for crates for applications such as empty crates washing and filled crates transfer. Our crate conveyors are made in stainless steel construction with modular belts or slat chains depending on the conveyor length, application requirement load on the conveyor. Our conveyors can be made in single tier or double tier configuration for simultaneous movement of different crates along the same path.